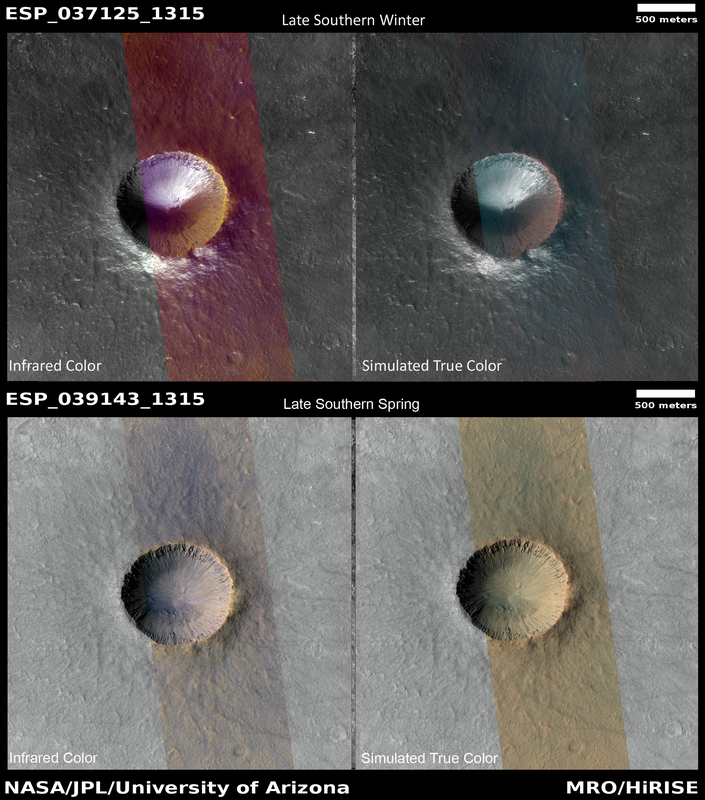 Why does HiRISE take so many repeat images of the same area? Repeat coverage actually serves a special purpose, such as detecting seasonal changes (frost deposition and sublimation) and temporal changes (dust devil tracks and avalanches.) These repeat images also give us a "sneak peek" of future pictures to determine any differences. Such is the case for this observation which we took in June 2014, and covers a small 1-kilometer sized simple crater located in the Southern hemisphere. In this composite and enhanced image, the crater shows frost on all its south-facing slopes (e.g., the crater's north wall and southern ejecta). This image was taken in late Martian winter as Mars is heading into spring. With a repeat image, we can now see any changes of the same crater. 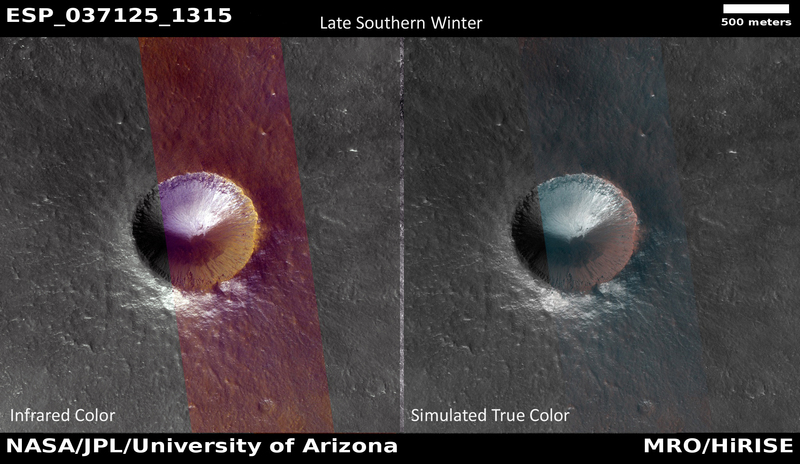 And what do you know: all the frost that was once present on the south-facing slopes of the crater are now gone, having sublimated and returned to the Martian atmosphere.